İlk alımınızdan RS. 100 indirim için bugün kaydolun. İndirimi almak için sepetinize en az RS. 100.01 değerinde ürün ekleyin. Hindistan değil misin? Bulunduğun ülkenin mağazasını seçerek satın alabileceğin e-kitapları bulabilirsin. 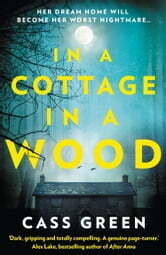 In a Cottage in a Wood By Cass Green Publisher: Harper Collins Thanks to Edelweiss Plus and publisher Harper Collins for the ebook ARC of In a Cottage in a Wood. Neve Carey comes across a troubled woman named Isabelle on Waterloo Bridge late one night. Isabelle forces a package into Neve’s hands and then jumps to her death in the icy Thames below. A couple of weeks later, Neve’s life in London collapses, and an unexpected lifeline falls into her hands - a cottage in Cornwall that was left to her by the women, Isabelle who she had only just met on the bridge. This is the solution to all of Neve’s problems, or is it? 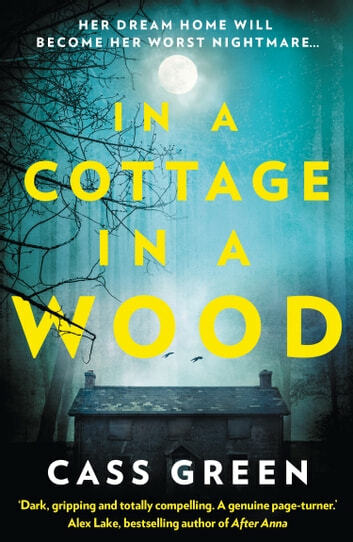 But, when Neve arrives late one night in the dark woods she finds a creepy looking bungalow with bars across its windows. And her dream house quickly becomes her worst nightmare. The house is hiding a twisted secret that will change her life forever… I give this book a rating of 3.5 stars. I found the book was good, it kept me wanting to read more, but at the same time I found it slow. I found it was suspenseful and kind of creepy. But wow, there was a twist of ending that I was not expecting and I just couldn’t put the book down! Really enjoyed this book! Kept me interested and engaged. I like books when I put it down after each day reading that I think about it and want to pick it up again! I loved this book. Sucked me in from the start. Blew through it in a day!! Really enjoyed this book. the main character was such a realistically drawn person. the story line held my interest and felt fresh.